Root Rot is one of the least common of the top three diseases but potentially one of the most destructive. 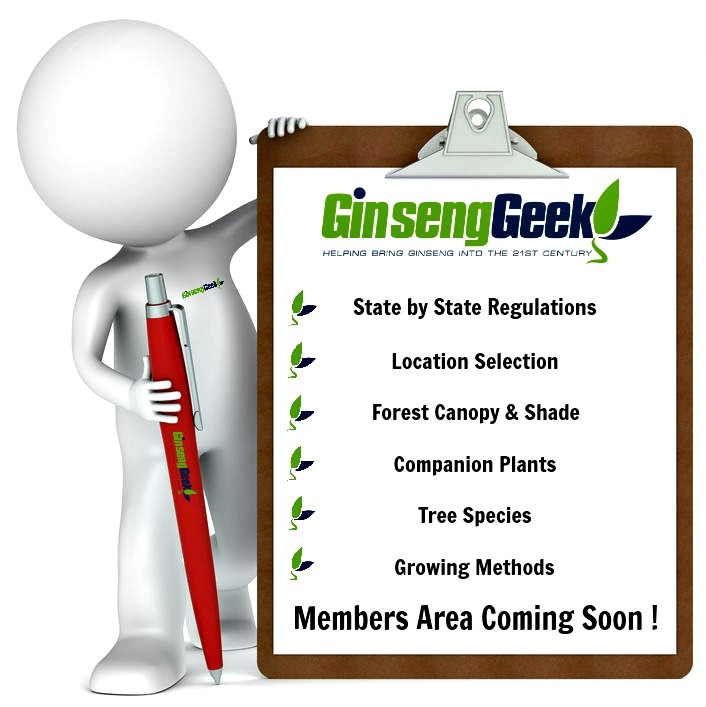 As you may have guessed Root Rot got its name because it directly attacks the ginseng roots themselves. There are many different fungi that are known to cause Root Rot in one form or another. Phytophthor is the most common; also Alternaria, Sclerotinia, Ramularia, Phthium and Fusarium can all cause root rot. The first symptoms noticeable to growers is usually foliage that starts to droop and turn reddish in color, sometimes yellow or bronze all over or in spots. 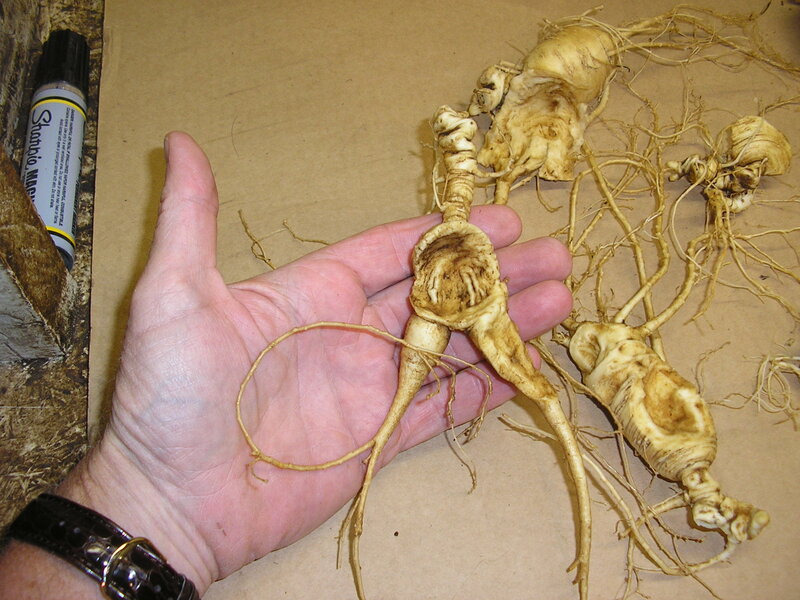 Ginseng plants have a weak unhealthy look to them. This is caused by a lack of nutrients due to the root damage below ground. Upon inspection affected roots can have pale brown to dark brown spots. It tends to start at the crown and work down the root but has been known to start anywhere on the root. The exterior of the roots surface will usually remain smooth but the interior meat of the root will become soft and cream colored with a cheese type texture. One way to tell if the root has rot is to squeeze the root. It will feel soft and spongy, and you may even have some of the inner root squeeze out. There is often a strong foul odor that accompanies these symptoms. There are times that the root will not have any noticeable symptoms until it is dried. There will be dark sunken spots that were not noticeable upon initial inspections. Pythium – causes a soft, water soaked root rot, and above ground symptoms include girdling at the soil-line preventing the plant from transporting food and water. Wilting starts and generally results in plant loss. Rhizoctonia – Will usually attack seedlings at the soil line, girdling the plant generally resulting in loss of plant. These symptoms are very similar to pythium, but rhizoctonia tends to prefer sandier soils. We will visit this disease later in this chapter. Cylindrocarpon – Causes and orange-brownish infection of the ginseng root, often starting at the tip of the root. The fungus spreads through the root destroying most of the root as it spreads. Infected plants will grow very slowly and many plants will survive if it can develop new roots prior to the start of winter. Although roots may be small and misshapen depending on how the new roots develop.